Almost no one in Washington has emerged happy from the debt ceiling fight. 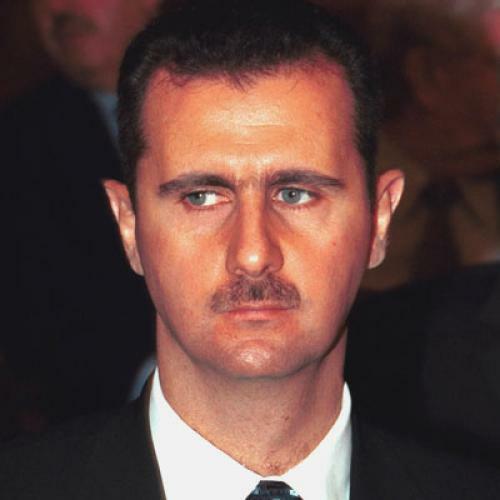 But farther afield, there’s at least one person who had good reason to be smiling: Bashar Al Assad, the president of Syria. On Sunday, as the House and Senate inched towards an agreement on the debt ceiling, Assad’s regime sent tanks into Hama, the focal point of the protest movement, quelling the unrest by shooting at protestors as well as innocent onlookers, and killing more than 70 people. Assad’s security forces killed people in other towns as well, bringing the death toll to as many as 100, according to reports. The crackdown, by some accounts, was the most extreme response from the government since the uprising began four months ago. And yet thanks to the drawn-out negotiations over the debt ceiling, it received very little attention in the American press. Syria’s geographic location and ties to Iran and Hezbollah make the country politically significant, while the size and intensity of the crackdown has signaled to some that the regime is feeling increasingly threatened. But even the most zealous news junkies wouldn’t have guessed this story’s significance on Monday. Newspapers like the Wall Street Journal, The New York Times, and The Washington Post featured good but limited coverage of the crackdown. The Post, for example, ran a story about Syria on the front page, but it was only one skinny column running along the side, nowhere near as noticeable as the bold banner headlines that graced the front pages of the national newspapers when the news of violent protests broke in Libya. The papers had similar treatment on their websites. The New York Times and The Wall Street Journal both offered a fairly prominently displayed headline and short teaser on their homepage, but a reader had to scroll down to see them. Similarly, NPR featured the story in small type under two sub headings, neither of which were easy to spot on the homepage. Cable news was even more noticeably silent. According to an analysis of the available transcripts on LexisNexis, CNN was the only one of the three major 24-hour-news networks to cover Syria at all on Monday. MSNBC and Fox News, for their part, did not mention the country on any of their major shows. Of course, it’s hard to blame the media for failing to follow more than one story at once when the main attraction is as potentially calamitous as a default on our nation’s debt. But after talking with several experts on crisis reporting, I found that it’s not the only reason that the horrible events in Syria aren’t getting the coverage they deserve.